At last there’s a UK HomeKit socket module available. But is it any good? We plug in an Elgato Eve Energy at the Automated Home to find out. Setting up the Eve is really simple, the iOS app even uses your camera to read the serial number and pair the device. Everything was up and running very quickly and trouble free. Eve is one of the neater smart home sockets available at just 72 x 72 x 71 mm. There’s a built in status LED on the top edge which doubles as a switch for local manual control. The socket has a maximum rating of 2.5kW and although you can hear its relay click when operating it’s much quieter than most other appliance modules I’ve used over the years. 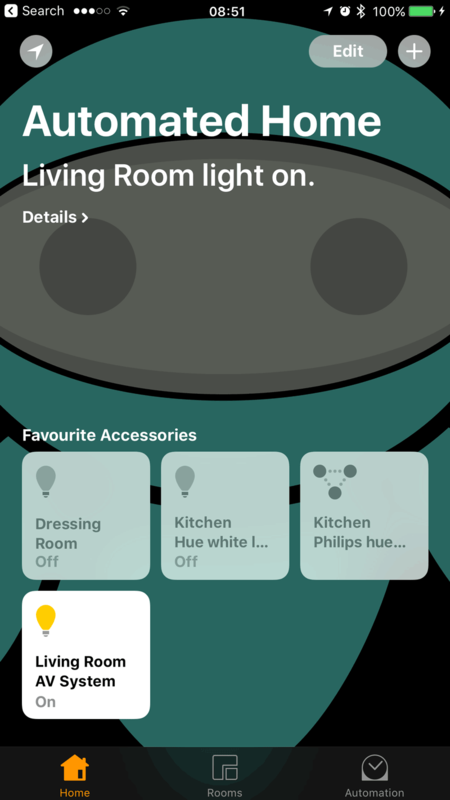 One of the biggest attractions of HomeKit is being able to use your voice with Siri to control your lights and appliance (but not Amazon Echo or Google Home currently). This works well in practice and although you may initially feel a bit silly it’s often easier than finding the right app, launching it, picking the right tab and icon etc. You can also gain a useful insight into the power usage of everything hooked up to your Eve. Input your kWh cost and get a monetary value for the energy you’ve used as well as a projected annual cost based on what it’s measured in the past Week, Day or Minute. Eve uses Bluetooth Low Energy, removing any WiFi or router configuration issues. Plenty of commands get through near instantly, others can take a second or 2 (longest timed observed at around 12 seconds). Despite using Bluetooth we found commands go through from any part of our house. If you live in a mansion though you may need to look at a different technology. In addition you’ll need to add an Apple TV to act as a smart hub if you want to control your HomeKit devices when you are away. Of course being HomeKit compatible you don’t need to use the Elgao app, you can control everything under the Apple Home app included since iOS 10. We’re not sure that Bluetooth is the best solution for the smart home and the slow pace of HomeKit development means it’s taken over 2 years to get the first UK socket out the door. But if it’s the Apple system you’ve decided to go with then the Elgato Eve is a fully featured unit with great design, solid build quality and a beautiful app. 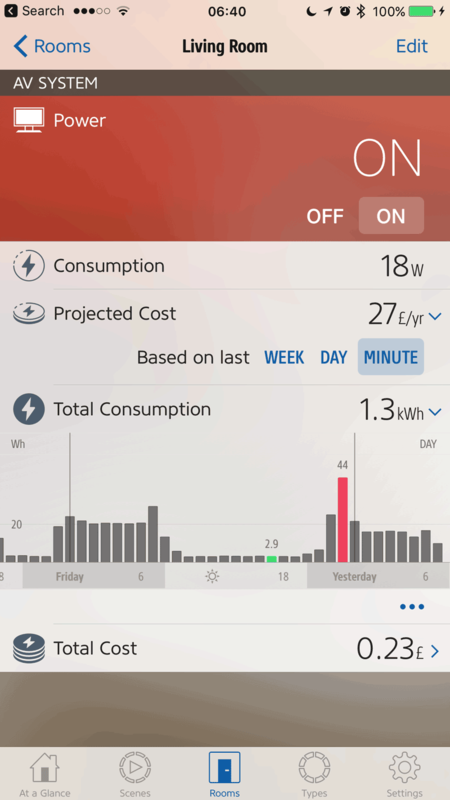 Be the first to comment on "Review: Elgato Eve Energy Brings UK Apple HomeKit Socket"